Historically, this site had been used as a bleaching mill and the use of chlorinated solvents (PCE and TCE) this had resulted in contamination of the sandstone aquifer beneath. Concentrations of chlorinated solvents at the site suggested that DNAPL could be present. After a DPVE pilot trial proved unsuccessful, REGENESIS was approached to provide an alternative solution. By this time, the site was already under residential development and so REGENESIS had to provide an in situ solution that could be applied without disrupting the ongoing construction works. 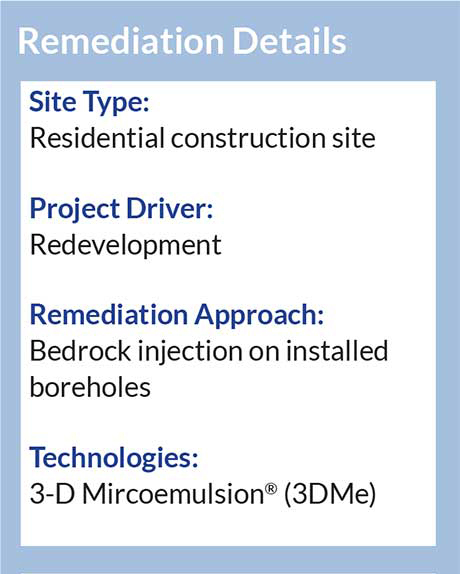 After evaluating the data we recommended 3-D Microemulsion® (3DMe) to be applied across the site in a series of barriers. REGENESIS designed a widely spaced treatment array accommodating the existing footing of the houses under construction. This was possible due to the ability of 3DMe to self-distribute in the subsurface following application. This allows for very wide injection point spacing, minimising costs, disturbance and time on site, without compromising treatment integrity. 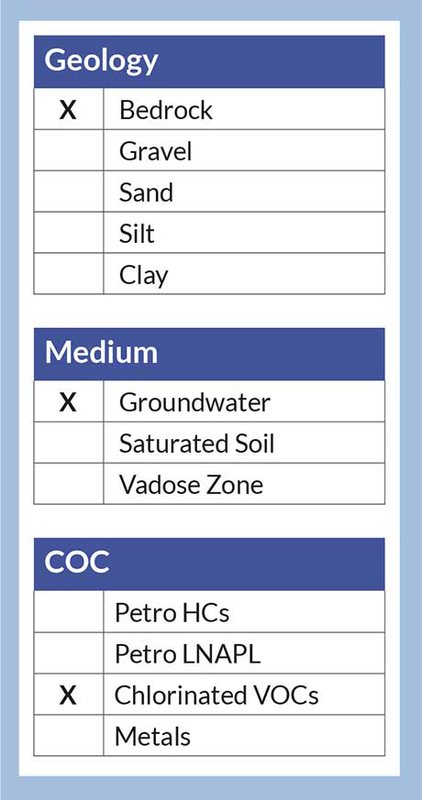 Reducing the number of wells is particularly important on deep, bedrock sites such as this one, in order to minimise the drilling costs, which may otherwise be economically prohibitive. REGENESIS worked closely with the Environmental Consultant, who oversaw the installation of the injection wells across the site. 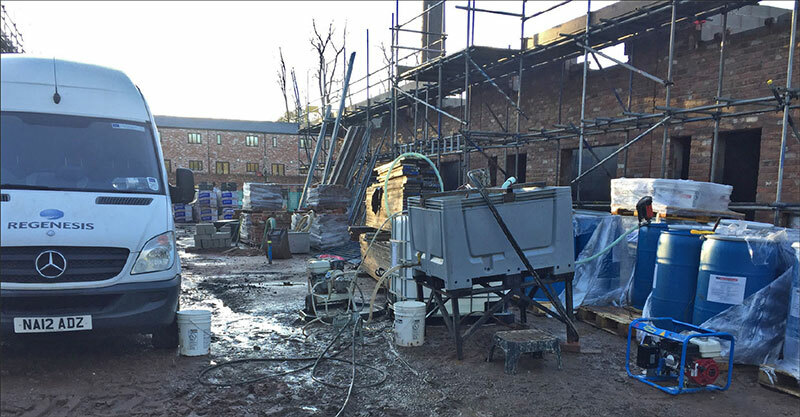 This was done to minimise the cost to the Developer and to take advantage of the knowledge gained by the Environmental Consultant during the site investigation. 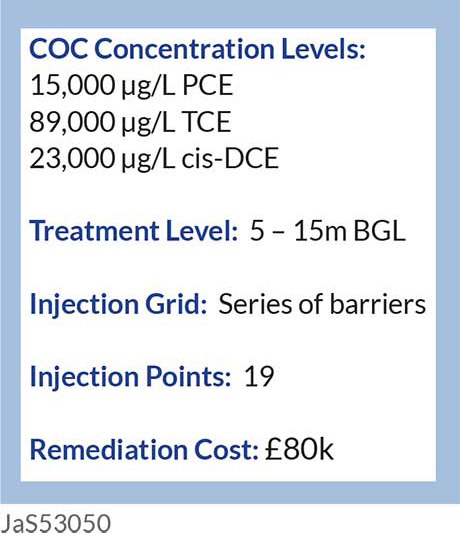 The injection works were completed by REGENESIS in 10 days, applying 73,000 L of 3DMe across 19 injection wells. 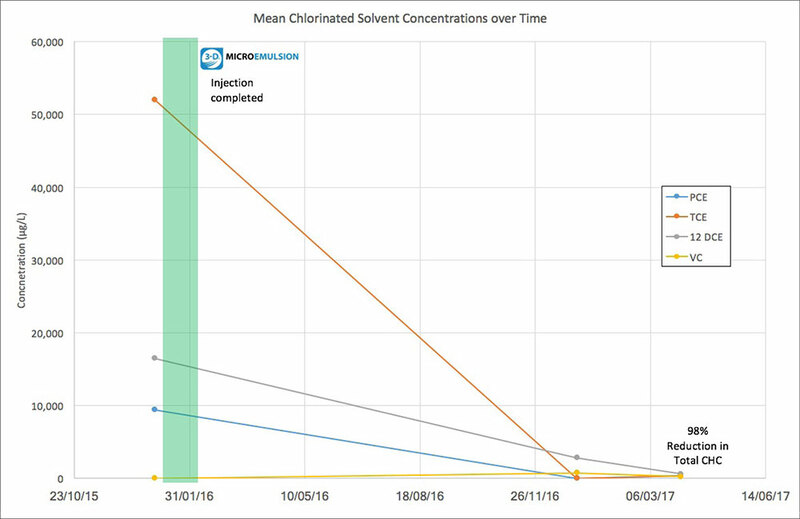 Results 1 year on show dechlorination is taking place with both PCE and TCE reduced to detection limits.